Are The Tories on Waverley Council Crazy? Mike Simpson discusses pressure for housing in Badshot Lea. The Tory controlled Waverley Council are considering doubling the size of the village! Why is Badshot Lea being targeted by Tory-controlled Waverley Borough Council for major housing development which would double the size of the settlement? 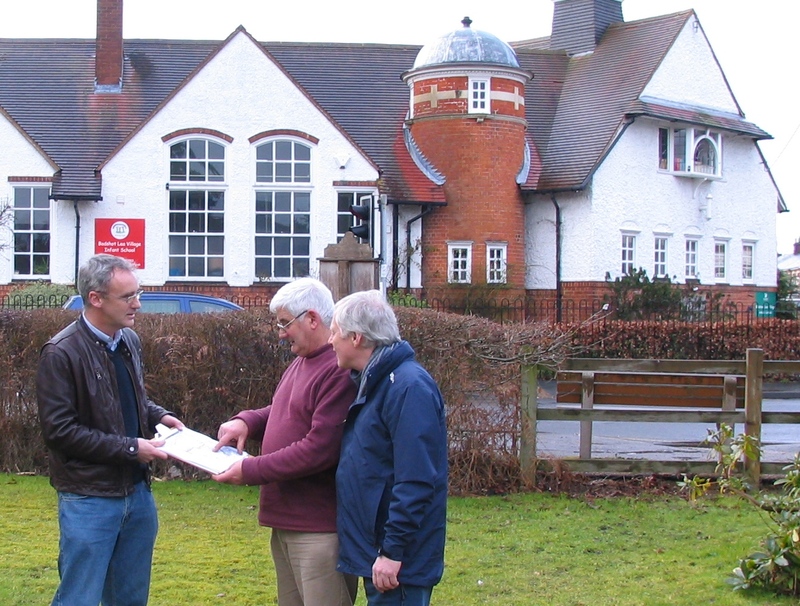 In February I spent an afternoon with Badshot Lea Councillors, looking around the village and the neighbouring green spaces. I was shocked to read the Council’s Strategic Housing Land Availability Assessment which suggests that the village might accommodate another 950 homes. The village clearly could not cope with such growth and the level of developer’s contributions would not be adequate to rectify major infrastructure problems in and around the village. In any case much of the land is unsuitable due to its frequent flooding. Waverley Borough Council commissioned Baker Associates to conduct the Strategic Housing Land Availability Assessment and Badshot Lea is the largest housing site identified by them, with one area alone being earmarked for up to 850 houses. 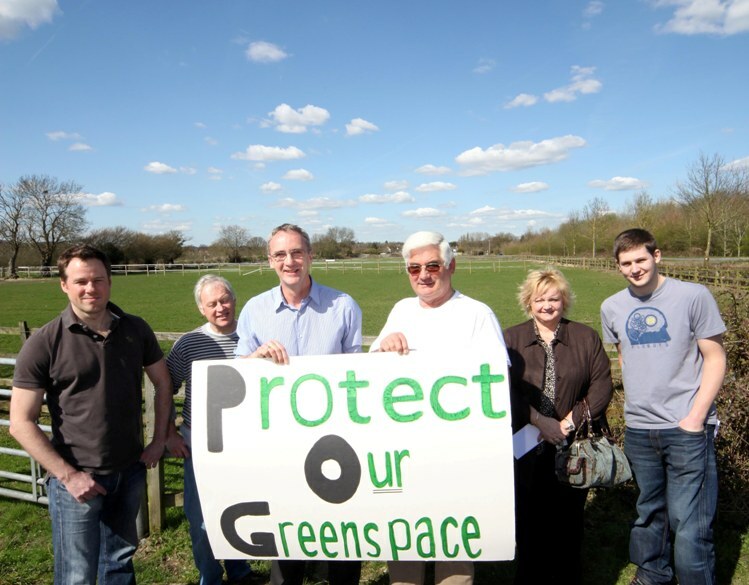 The refusal to agree to the proposed eco-settlement at Dunsfold will inevitably lead to huge pressures on other areas to take major housing development. I will be urging Waverley Council to ensure a fair and reasoned approach to the allocation of housing and that at least 25% of any new housing is affordable housing for local families. Once again Farnham is being pushed by Waverley Council to take the pressure off other areas, but if past experience is anything to go by, Farnham will not get the facilities and services it needs to cope. Hunt is said to be taking an interest in the issue, but he really needs to lobby his fellow Conservatives and get them to see sense over this issue. I suspect that, with the General Election coming up, there might be a re-think, at least for the time being. Dan’s family need financial help to pay for an air ambulance to get him home to the UK. Give to the appeal to raise funds by clicking here. Look after the pennies Jeremy and ….. The Conservative MP for South West Surrey won the award for the most penny-pinching expense claim, as all the national newspapers told us today. Jeremy Hunt, who last summer was estimated by the Spectator Magazine to be worth £4.1 million, tried to claim for a 1p mobile phone call. And it wasn’t some technical error. The claim was actually hand written! Last Friday Jeremy Hunt MP held a public meeting to explain himself over his expenses. In response to my questions Mr Hunt admitted that the Conservative Party Agent for the area has lived rent-free in his taxpayer funded ‘second home’ in Farnham. ‘Claims cannot relate to party political activity of any sort, nor must any claim provide a benefit to a party political organisation’. Taxpayers are entitled to ask why we are paying for the Conservative Party’s professional agent to have free accommodation at taxpayers expense in Jeremy Hunt’s second home. Jeremy Hunt said at the public meeting that he thought this was for just 7 months ‘after the election’ and that he had allowed her to use a room, but after I emailed him to ask him to explain how his agent was on the electoral roll up to September 2008, Mr Hunt changed his account of events. He now says that she lived there for over 2 years after the election. In contrast local residents interviewed by a reporter said that they ‘never see’ Jeremy Hunt at the address. Jeremy Hunt says that his Hammersmith address is his main home. He has owned this property from October 1997. In the interests of genuine ‘transparency’ I call on Jeremy Hunt to explain himself fully. Perhaps he might explain to his electorate why he thought it was OK to have his Political Agent live at his taxpayer-funded ‘second home’. We await with much interest his attempt to justify this sorry state of affairs.